Japan Hyper QE Inflation Wars, Bank of England's Bail-in Secret, Buy Gold, Silver? The markets in large part appear to have been doing the exact opposite of what many expected them to do as apparently it's the stock market that has proven to be the safe haven and not Gold and Silver which instead in recent days have been dumped by investors to new 2013 lows. The flight into the stock market at its core represents simple logic that is if investors with funds parked in banks are at the real risk of losing as much as 40% their funds in exchange for a pittance in interest of usually less than 3% per annum (less than Inflation after tax). Then is it not simple logic that dictates that investors should pull their funds out of the banks and park them in SAFER dividend paying blue chip stocks that despite having a similar downside risk i.e. 40% potential loss if the markets crashed, but in exchange for that risk is an dividend income that INCREASES each year PLUS potential of capital gains of probably between 20% to 50% per annum (depending on the individual stocks performance). The consequences of which has been to delay the start of the stock market correction as what we are witnessing are the consequences of seismic shockwave's in depositor perception that is resulting in unpredictable volatility rather than anything that is being driven by fundamentals, however I expect as the dust settles the fundamentals will continue to reassert themselves and those fundamentals at their core are the consequences of the Exponential Inflation Mega-trend towards which all asset prices tend to be leveraged and oscillate around. The following graph illustrates the effect of run up to the anticipated announcement of further QE which turned out to be double markets expectations hence the further rally in Japanese stocks and plunge in the Yen. Japan's actions should act as the latest serious wake up call for all investors that governments will literally print an unlimited amount of money which ensures that there can never be deflation as many deflation fools still to this very day continue to beat the non-existant drums of, though I do note that a number of deflationistas' in the face of being wrong for many years have started to pretend that they had been aware of the Inflation mega-trend all along! That should not come as much of a surprise because after Politicians the next biggest liars tend to be salesmen. Off course printing money does not increase wealth, if you pump out money at the the rate of 1% of GDP per month that does not mean that the economy will grow by 1%, all that it means is that it will inflate prices by 1% (per month), and it is asset markets that react first to inflation by virtue of the fact that, that is where it is directed towards and that is what market participants react to in anticipation of future QE i.e. 2 years of 1% per month of money printing Japan style. There can never be something for nothing as it WILL result in inflation of commodity and consumer prices so most ordinary Japanese will feel the negative consequences in their pockets as prices rise, but for Investors who are leveraged to inflation such as stock and property market investors will continue to reap huge rewards far beyond that which is lost to increases in the consumer inflation rates as money printing inflates assets such as stocks all the way to the next bubble far beyond highs that any credible analyst can imagine today, whilst the incredulous perma-bears continue to wait for the bear market to resume despite the fact that stock markets have more then doubled whilst they continue with the perma-bear mantra. 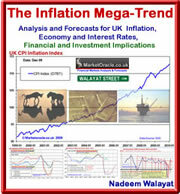 See Inflation Mega-trend ebook for wealth protection strategies (FREE DOWNLOAD). resolution process for globally active, systemically important, financial institutions (G-SIFIs). subsidiaries to a new solvent entity or entities. In the U.K., the strategy has been developed on the basis of the powers provided by the U.K.
order to restore the whole group to solvency. the replacement of culpable senior management. 17 In the U.K., the Banking Act provides the Bank of England with tools for resolving failing deposit-taking banks and building societies.5 Powers similar to those of the FDIC are available, including powers to transfer all or part of a failed bank’s business to a private sector purchaser or to a bridge bank until a private purchaser can be found. The Banking Act also provides the U.K. authorities with a bespoke bank insolvency procedure that fully protects insured depositors while liquidating a failed bank’s assets. These powers have proved valuable; for example, during the crisis they allowed the authorities to transfer the retail and wholesale deposits, branches, and a significant proportion of the residential mortgage portfolio of a failed building society to another building society. Before you all panic and rush to withdraw your funds realise this that the above will only be utilised in a worse case scenario, instead the real ongoing risk is one of inflation stealth theft of savings that is worsened by the 20%-40% additional theft by means of double taxation on savings interest i.e. Inflation erodes the value of your savings by currently about 4% then the government taxes you by 20% to 40% on the sub inflation interest rate you will be in receipt of which means you are guaranteed to lose near 2% of the value of your savings per year. 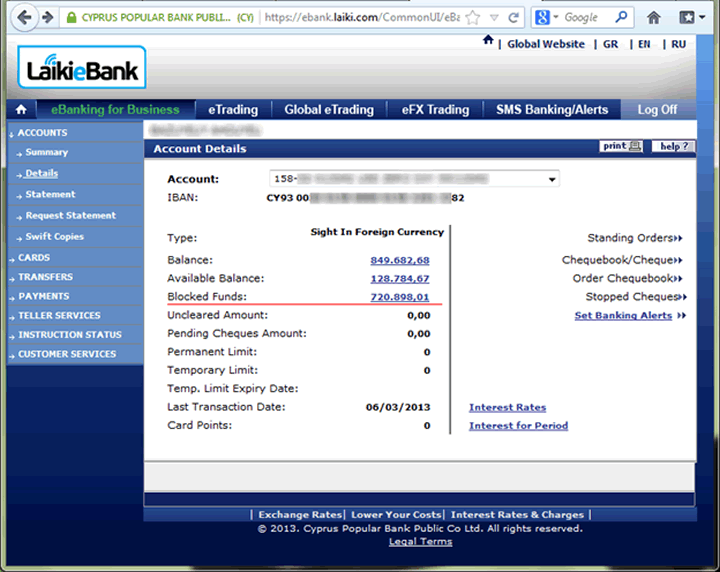 However to protect oneself from the inflation wars one needs to increase ones risk i.e. if you invest in the stock market then you need to appreciate the fact that it will be far higher risk then leaving it in the bank even if you WILL lose at least 2% per annum in the bank. I covered at length how to invest in the stock market including which sectors I expect to outperform over the coming decade in my recent ebook The Stocks Stealth Bull Market 2013 and Beyond (FREE DOWNLOAD). Another key emerging sector that I have been focusing on during the past 18 months has been the property market, specifically UK property as illustrated by the approximate breakdown of my portfolio and where I expect it to be by year end. Meanwhile in Britain the new tax year brings limited reprieve for UK savers who continue to have the value of their savings stolen by means of high inflation that tends to be about 1.5% above official CPI rate of 2.8%, i.e. 4%. So whilst many may argue that it is just not worth say putting ones cash into an Cash ISA typically paying less than 3%, especially since Cyprus shows that your savings are NOT safe. However, given that cash is supposed to be the lowest risk holding, so still needs to be part of an overall portfolio so as to balance the risk posed by high risk assets such as stocks. In which respect Cash ISA's obvious advantage is that they are TAX FREE, i.e. depositors can avoid the double taxation on interest theft. So where cash ISA's are concerned, play the long-game and wait for savings rates to rise then lock them in for as long as possible to beat both inflation and the tax man. Remember that rates can only remain low as long as the Bank of England retains control of the bond market, which as the euro-zone illustrates that confidence is always fragile i.e. it does not take much to tip bond investor perceptions from low risk to extreme high risk especially as UK, US, German and Japanese bond markets ARE in the mother of all bubbles. 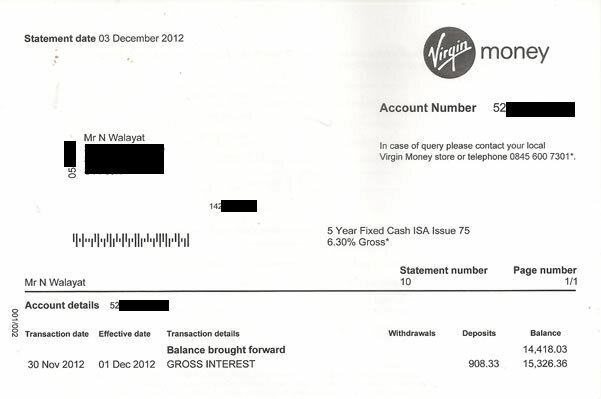 In the meantime the likes of Richard Branson's Virgin continues to pay me 6.3%, which is about triple the rate being offered to new Virgin Cash ISA customers. The key part of my strategy is to fix with those providers that will charge the least interest for early exit if a series of rate rises are around the corner. For instance Santander charges 120 days interest on its 2.8% cash ISA against Halifax which charges 180days interest for its worse paying 2.5% Cash ISA. Therefore an early exit out of Santander can be entertained when ISA's start appearing offering a rate of 3.8% or higher for an additional ongoing interest of 0.3% per annum (note this is not an endorsement for Santander, but just an example). Continue to build up Cash ISA's so that you have a tax free savings pot to lock in when rates rise - When ? Probably not before Mid 2014. Open fixed Isa's with LOW interest penalties for early exit. And above all stick to the £85,000 FSCS limit per banking licence. Inflation Wars - As mentioned earlier in this article as illustrated by Japans Hyper QE, the world economies are engaged in Inflation Wars which inflates ALL asset prices which means sentiment driven leveraged fiat currency liquidity flows buffeting limited supplies of Gold and Silver. The Inflation Wars simply mean that those that own assets of limited supply get rich whilst those that don't become poor. There would have been no bank bailouts under Thatcher! Many people blame Thatcher in part for our current economic crisis but without Thatcher Britain would not have had an economy to destroy as had Labour won in 1979 then Britain would have drifted to the left of the USSR! Your analyst accumulating Silver for the long-term Inflation Wars Mega Price Spike. As usual, this article is well written and supported with strong rationale. I agree 100% with your view on the USD. I would like to hear from you about the impact to other markets that are more or less pegged to USD, such as Hong Kong dollar. HKD has been officially pegged to the US for a very long time and the HK Govt has a huge war chest (their problem is how to distribute their tax revenue surplus back to tax payers and to different interest groups... at least for now.) What will happen to financial assets in HK? As USD rises, HKD will also rise against other currencies. But will hot/safe-heaven seeking money flow to HK? I know this question is unfair to you as you may not be familiar with the economy environment here. But I will appreciate very much if you can explain briefly the effect to other "USD pegged" economies. My view is that as Gold and Silver rise so dollar should fall, though it would be more profitable for me if it rose. I note you are going heavily into UK property but still cannot understand why and would be grateful if you explained. How will property prices rise if credit is not available (and won't be for a long time due to the under-capitalised banks). Furthermore, there is no wage inflation (in fact there is deflation) and M4 is dropping. I can understand how prime London property will rise as it is a safe haven but how will the rest of the UK property rise, especially if interest rates are forces up in the near future. I would be grateful if you could explain the economics behind where the money will come from to pump up prices. All bull markets are invisible to most for many years, just look at stocks that are into their fifth year! I can think of at least 10 major reasons which I will start to write about in depth in each weekends newsletter going forward. One major reason is mentioned right in this article which is that cash is no longer zero risk, and that bonds are now high risk, higher than property! I will start to write this weekend now that I have finished tinkering with my stocks portfolio. I completely understand that cash is no longer zero risk and bonds are high risk but with the average person's belt being tightened they do not have spare cash and certainly do not buy bonds. Therefore, I still don't see how the average house price can increase if the average person has less money than before and mortgage rates may start to increase? I look forward to this weekend! Things are always clear in hindsight, but one has to invest on the balance of probabilities to profit. At the peak in Aug 2007, few could imagine that house prices could actually fall. Even nearly a year into the bear market the default setting was for a soft landing. I would disagree that they crashed. Maybe in the North of England but London has just accelerated upwards and the rest of the south has experienced minor drops. It is still far too expensive for FTB. How do you see prices growing if FTB can't buy and the south is still too expensive? London house prices did crash. They fell harder than the North of England! So London house prices is rising, thats telling you that everything you said earlier is wrong because what you think is relevant to house prices is actually not. Ok so what is relevant to house prices - I want to learn!? PS. Where did London house prices crash? - In the north of England prices have dropped at least 30% if not more. I have kept an eye on the London market and hardly anything has dropped and when it has it has been minimal! From peak to trough London house prices fell by about 25% (as I forecast they would in August 2007). Google images for London house prices. Nadeem, thanks to you and others I changed my view on gold/silver. For me there is a new branch of Gold Bugs that have evolved, we are not all the same screaming from the top of the hills, STACK EM HIGH ON THE DIPS. I realized that its through labour that wealth is created and gold and silver does not create wealth, but merely stores that wealth over time. Sure investores that know what they doing make money by getting timing right on up and downs. Some of us gold bugs fight for gold/silver as a currency, to actually use it in everyday transactions. This currency cannot be manipulated by a couple of men around a table at some central bank meeting. Sure this might be impossible to implement, but that does not mean its not the right thing to do.